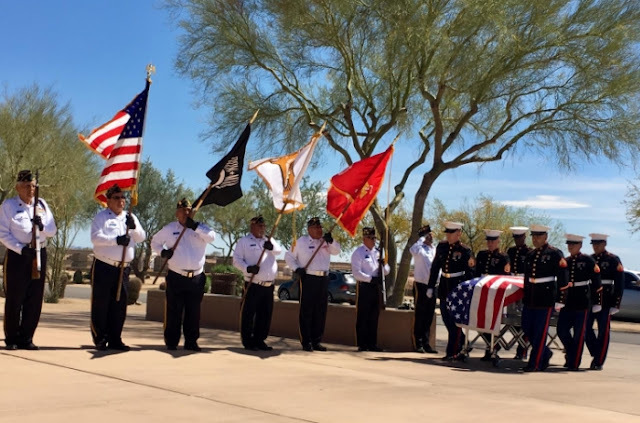 A lifetime of mourning for a 74-year-old member of the Gila River Indian Community has come to an end. Laverne McAfee was finally able to welcome her father home. It was a day Laverne McAfee never expected. Her father, Sgt. Johnson McAfee Jr., who was killed in one of the Korean War's most brutal battles, received full military honors at the National Memorial Cemetery of Arizona on March 23. 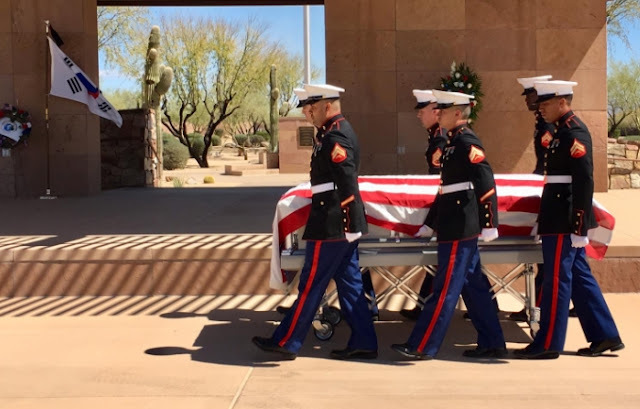 As six Marines carried a flag-draped coffin holding Sgt. McAfee’s remains, his daughter’s eyes filled with tears. Still, she said this is a time to celebrate because she’s spent 68 years mourning. McAfee's remains were apparently included among the more than 2,700 sets of remains that were returned to the U.S. as part of "Operation Glory" after the war and were among the 848 sets that were unidentified and were buried at the National Memorial Cemetery of the Pacific, also known as the "Punchbowl" in Honolulu. His remains were positively identified by the DPAA last year and returned to his family. “His country gave him a Purple Heart medal and his Lord gave him everlasting life,” said Yasmine Dorsey, the great-granddaughter Sgt. McAfee never met. When a local newspaper reported Sgt. McAfee’s death it included a quote from his enlistment application. McAfee said he wanted to join the Marines because they’re tough. 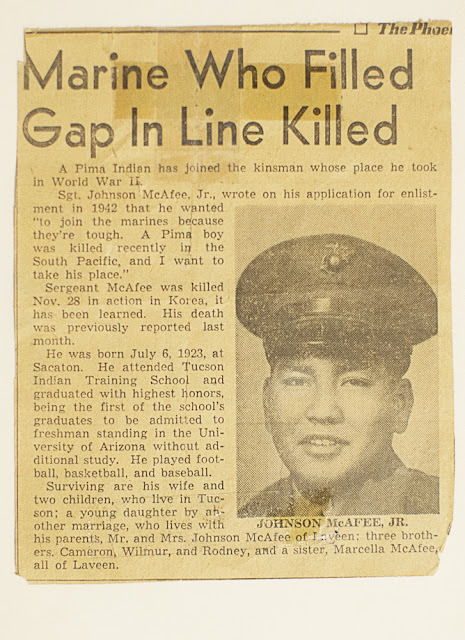 He wrote, “A Pima boy was killed recently in the South Pacific and I want to take his place.” Sgt.McAfee fought in World War II before deploying more than 6,000 miles away to Korea. Responses to "7 decades later, a Native American Marine's remains come home from Korea"